Your Child is a Spanish Language Failure: Is it Your Fault? 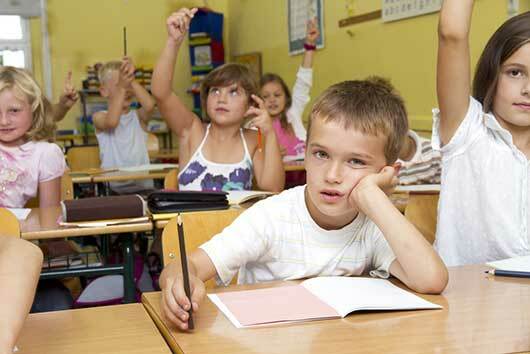 Thanks to some hints you have detected, your child does not seem to be too fond of Spanish. The inkling you have on this is based on reality: your child tends to use English more than Spanish. He does not say so in so many words, but you gather that Spanish is not his cup of tea. Why would he avoid speaking Spanish when you’ve raised him to be proud of his bilingual heritage? As parents, we wish to give our children the best education possible that will equip them for the challenges of life when they become independent. The more knowledge and tools at their disposal, the better they will be able to fend for themselves in this cruel and often indifferent world of ours. You are reading this post precisely because you feel that language, communication, is the most important tool your child should master and that learning and speaking two tongues will always be better and never a hindrance, no matter what they decide to do in life when they fly the coop. And you are right. Regardless what people may say, you are right, and I commend you for it. You want your child to speak Spanish. As you are now living in the United States, she will acquire English with little effort, probably as her mother tongue. This is fine, but you want her to have command of Spanish as well, and of late she has shown tendencies that alarm you, that lead you to think that her Spanish is not what it should be, that the child is failing in her acquisition of the language. Your daughter, or your son, is even failing Spanish at school. WHAT TO DO First: do not panic. When we panic, our ideas become shrouded in a misty fog and we cannot see or think clearly. Do not make a mountain out of a molehill. Be cool because this behavior happens more often than you may think. Children either love something, or dislike it and need a bit of coaxing at times. Try gentle, pleasant coaxing instead of the offensive, abusive, chiding parental authority-wielding attitude. Gentle perseverance is the rule of thumb: Never give up speaking to your child in Spanish. Never. No matter what, no matter where, no matter when. Under no circumstances should you switch to English in your discourse with your child. Second guideline: Do not lose any opportunity to explain the value of speaking two or more languages, even if not perfectly. Stress the point that now the world is getting smaller and those who speak multiple languages have better opportunities. Third hint: Be proud of your background and cultures and your child will admire and respect you for it. Never feel inferior and let your child know that Spanish culture and American culture are on an equal footing. Point out, in passing, how lucky your family is to have two cultures to share with others. If you do the above you will have nothing to regret and nothing to lose. Try and hope for the best and do not feel at fault if things go linguistically awry. Those things happen, believe me. And often one child becomes bilingual, and the other does not… in the same family. The mysteries of the human brain! With my oldest is not that hard, she can even read and write, but with the little one is another story! I just have to keep working with them.